Albany Law School has released a new, web-based tool to help lawyers serving non-profits that want to form under state law. These tools can help a lawyer serving such non-profits create two documents critical to forming the non-profit: it’s certificate of incorporation and by-laws. Using our two, digital, guided interviews, which walk the lawyer through a series of questions and invite lawyers to input a range of data about their clients and their clients’ desires for their organizations, the tools will generate these two documents that lawyers can then file with the Secretary of State of the State of New York for recognition. The hope is that these tools will save lawyers time, make their work more efficient, and encourage lawyers who want to serve non-profits on a pro bono basis an easy way to do so. The guided interviews are designed for use by lawyers admitted to practice in New York State, and only if they do not charge their clients for their services. These tools were designed as part of the class at Albany Law entitled “The Law of Social Entrepreneurship and Exempt Organizations,” which introduces students to the law of non-profit organizations as well as the ways in which technology can be deployed to help improve access to justice . If you are a lawyer admitted to practice in New York State, you can apply for access to the tools here. You can also read more about the tools and our process through which they were built here. There’s been a lot of talk over the last two years about threats to the institutions of democracy. When President Trump took office, outgoing President Obama passed on the message that the office of the presidency, as held, only temporarily, by individuals, should be occupied by “guardians of those democratic institutions and traditions — like rule of law, separation of powers, equal protection and civil liberties — that our forebears fought and bled for.” Now-retired Senator Jeff Flake from Arizona echoed similar themes in a speech from the Senate floor from late 2017: “We must never meekly accept the daily sundering of our country. The personal attacks, the threats against principles, freedoms and institution, the flagrant disregard for truth and decency.” Now-out-of-work General Mattis issued a farewell letter to the military and civilian members of the Department of Defense, who, he argued, have a “sworn mission” to “support and defend the Constitution” while protecting Americans’ “way of life.” And in an opinion piece published in the Washington Post, Senator-Elect Mitt Romney argued that: “Our leaders must defend our vital institutions despite their inevitable failings: a free press, the rule of law, strong churches, and responsible corporations and unions.” As the Mueller Investigation appears that it may be winding down, just as one Congressional chamber’s investigations, now under the control of House Democrats, may be ramping up, the role of our nation’s democratic institutions will certainly be tested in 2019, and it is possible that something as important as the state of American democratic values, and American society itself, may rest on those institutions’ durability and resiliency. So, the question becomes, are we talking about simple norms, like “civility,” concepts or practices such as the rule of law, or something more organizational, like Congress, or the courts, when we are talking about the institutions of democracy that must be deployed, defended, and utilized in case of a democratic and/or constitutional emergency? 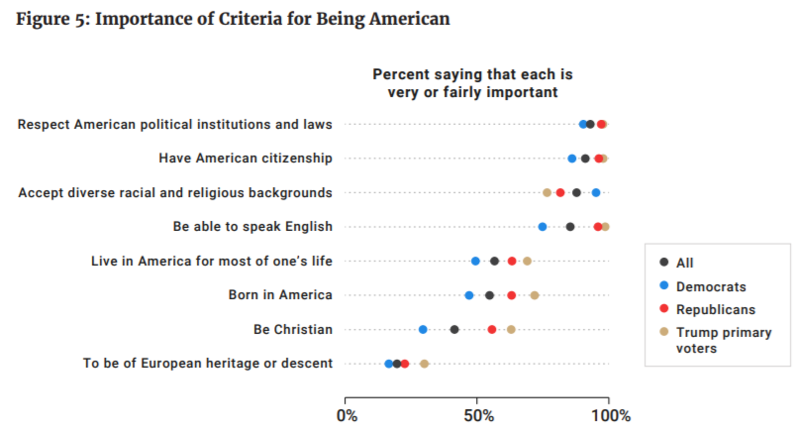 If the United States may be headed for both, answering this question may be critical. Furthermore, when norms, practices, and organizations are tested, they often work in conjunction, collaboratively, to sustain each other. As such, they are co-dependent and reliant on each other to be sustained even in the face of challenges. It is also the case that, even when institutions-as-organizations may work at cross-purposes, however, as antagonists, they can, in some ways, strengthen the institutional fabric because they represent disputes on institutional terms, and on institutional playing fields, endorsing the importance of the institutional “rules of the game” and the contexts in which such rules can be defined even as they may have disputes over them. In these ways, the organizations, norms, and practices of our democracy ultimately work hand-in-hand across the different types of institutions that make up this institutional fabric. Indeed, the organizations are where the norms are honored and the practices carried out. Disregarding one will cause that fabric to unravel, which is why the threats to institutions are so insidious: compromising one institutional component of this fabric that makes up our democratic society can weaken it, causing it to rend. That is why the defense of these institutions, across the board, must be so steadfast and resolute. Perhaps the nation’s New Year’s Resolution for 2019 should be to defend, cultivate, and honor our democratic institutions, all of them, even if there is some disagreement at the margins over how we may define them. Michael Flynn’s lawyers made a curious choice. In their submissions regarding their client’s sentencing, where even the government had agreed that their client should not receive jail time, they choose the “non-apology-apology” path. Worse yet, they seemed to echo the “Witch Hunt” party line more common in the President’s Twitter rants than within the dignity of a court proceeding that could lead to imprisonment. Instead of playing it safe, and contrite, Flynn’s lawyers chose to cast aspersions on the FBI, suggest their client was duped and entrapped, and explicitly named agents who have been the constant object of right-wing fever dreams in an attempt to have it both ways: keep their client out of jail while making it appear like he was the victim. 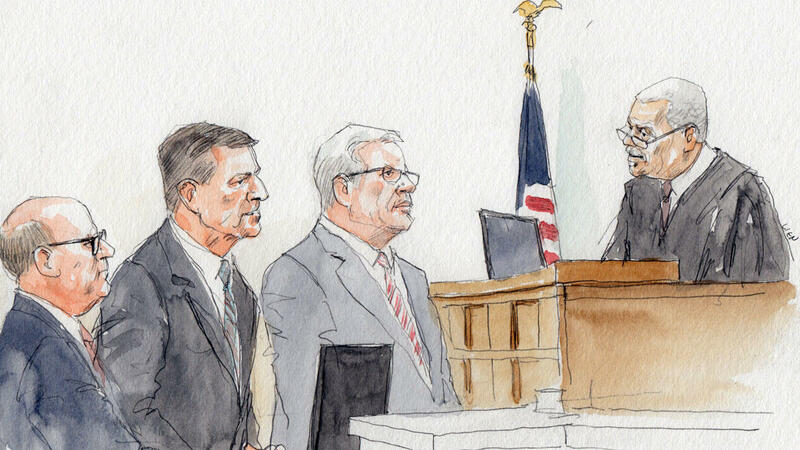 Yesterday, Emmet G. Sullivan, the federal judge due to sentence Flynn, was having none of it and asked pointed questions of the retired general, making him face the music and essentially disavow the positions his lawyers had taken. The lawyers, appropriately, fell on their swords and admitted the decision to choose their approach with respect to the sentencing memorandum was theirs and should not reflect on their client poorly nor affect the judge’s sentencing decision of him. Lawyers are not perfect. They are allowed to make tactical mistakes when their choices are the product of reasoned and professional judgments based on what they consider to be in the best interest of their client. When Fake News becomes your guide as a lawyer and officer of the court, however, it’s time to re-think the strategy. Given blatant voter suppression, questionable appointments to key administration and judicial posts, and dramatic gerrymandering, many fear the institutions of democracy itself are under threat. At the same time, other institutions, like state attorneys general and non-profit organizations, are also attempting to serve as a counterweight to these abuses and to check them, seeking to invoke still other institutions—like the judiciary and the ballot box—to defend democracy and the rule of law. But these battles expose some definitional tensions around what precisely is an institution, how do institutions function, and how can they serve to prop up or undermine democracy and the rule of law. In order to understand the role institutions can play in promoting democracy and the rule of law, we need both a vocabulary for a discussion about institutions as well as an appreciation for how they function. I attempt to enter this conversation here. Power being almost always the rival of power, the general government will at all times stand ready to check the usurpations of the state governments, and these will have the same disposition towards the general government. The people, by throwing themselves into either scale, will infallibly make it preponderate. If their rights are invaded by either, they can make the use of the other as the instrument of redress. As our institutions are under threat, and are being tested, it is appropriate to develop an appreciation for how institutions function in relation to each other and to broader society. Nothing short of the fate of the Republic may be at stake. One of the most important outcomes of the mid-term elections for liberals and progressives may not be the result of any particular race. It might just be the simple fact that, despite the structural disadvantages facing Democrats this cycle, they were, nevertheless, able to tilt the House to the Democrats, and flip over 300 state house seats, many governor’s mansions, judgeships, and elected positions in roughly every state in the Union. Those successes boil down to one phrase: organizing works. And it tells a critical story that can help sustain those efforts moving forward. As a result, perhaps the most important result of the election is merely the fact that liberals and progressives learned that their efforts are not for naught, that they can have an impact, that they were efficacious. Thus, the most important story line of this election might be just one word: efficacy. In order to think about the importance of efficacy, assume a counter-factual: what if the Republicans had managed to exploit their positions of dominance in every branch of the federal government to maintain control of the House of Representatives? What if voter suppression, Dark Money, and gerrymandering had been enough to keep people from voting for Democrats and the Republicans had maintained a slim majority? One potential result of this would have been a sense of powerlessness on the Left. That despite the countless hours of phone banking and canvassing, and a highly energized base that cast significantly more votes for Democratic candidates than Republicans, Democrats still couldn’t get enough votes to flip one chamber of Congress. That despite their best efforts, the structural disadvantages, and the relentless efforts to rig the system would mean that the system is broken and cannot be fixed. We see so many examples of this type of systemic, structural exploitation. Gerrymandering. Voter suppression. 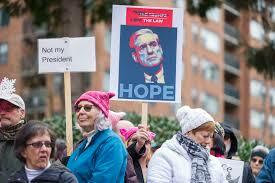 Attempts to impede and undermine the Mueller investigation. Stealing a Supreme Court seat. Forcing through an unfit Supreme Court Justice whose main reason for being nominated at this point for Republicans was that he will likely vote to shield the President from the Mueller investigation, when, inevitably, that investigation’s jurisdiction and power should come before the Supreme Court. One trembles at the thought that a major loss in the mid-term effort to flip the House might have resulted in liberals and progressives giving up, believing that they cannot use the power of the ballot, and democratic, peaceful means to change the system. While votes still have to be counted in Florida and Georgia, and the full story of the voter suppression efforts in Georgia may never get told, these efforts to rig the institutions of democracy were not wholly successful, and good thing that they were not. In fact, they may have backfired in some ways. As research tends to show, the greater the sense of injustice, and the awareness and belief that people have an ability to work collectively through institutions to respond to such injustice (that is, they have individual and organizational efficacy), greater is their willingness to take on tough challenges. In some ways, then, perhaps the Republican efforts to both rig the system and make people feel the system is rigged such that they develop a sense of helplessness has backfired. Such measures may have mobilized liberals and progressives enough for them to feel they can, in fact, bring about needed change, despite the structural roadblocks Republicans keep putting in their way. Storytelling is a fundamental component of human nature. Indeed, it’s what makes us human. We are often told a story that one cannot fight the system. And that our selfishness means cooperation is futile. Such a story has a clear impact: it discourages people from fighting the system, and from trying to do so collectively. But if a different story can be told, one of cooperation, and that such cooperation can bring about change, that story can, in turn, lead to such cooperation, and perhaps to that change. In some ways, then, the story of the mid-terms may be a story of cooperation and organization. Above all, it may simply be one of efficacy. That such cooperation can lead to positive change, despite the many roadblocks, and the stories, lined up against it. The Handbook grapples conceptually and practically with what the sharing economy–which includes entities ranging from large for-profit firms like Airbnb, Uber, Lyft, Taskrabbit, and Upwork to smaller, non-profit collaborative initiatives–means for law, and how law, in turn, is shaping critical aspects of the sharing economy. Featuring a diverse set of contributors from many academic disciplines and countries, the book compiles the most important, up-to-date research on the regulation of the sharing economy. 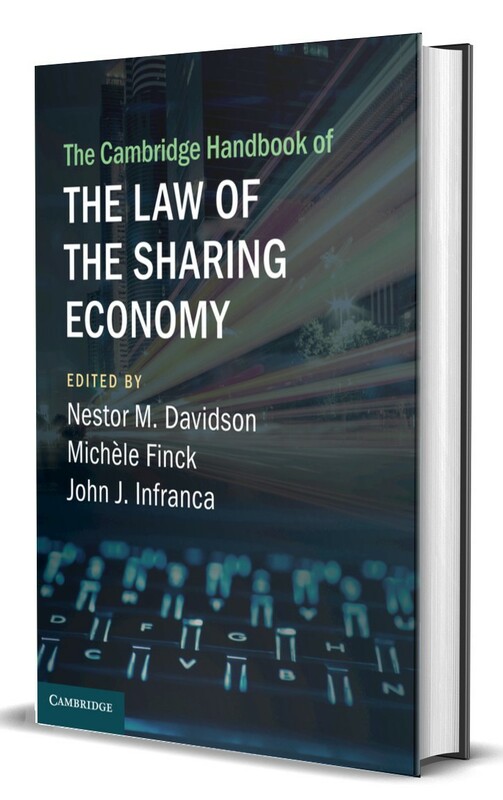 The first part surveys the nature of the sharing economy, explores the central challenge of balancing innovation and regulatory concerns, and examines the institutions confronting these regulatory challenges, and the second part turns to as series of specific regulatory domains, including labor and employment law, consumer protection, tax, and civil rights. This groundbreaking work should be read by anyone interest in the dynamic relationship between land and the sharing economy. Available for pre-order now. Check out the book’s page here. After the mid-terms, the work of social change advocacy groups, and their lawyers, will only continue, and such work will have to get creative. In a forthcoming piece in the Georgia State University Law Review, I explore some successful campaigns for legal social change and the lawyers who were involved in them to try to understand if there are lessons to be learned from those successes. The abstract is below. Download the article here. 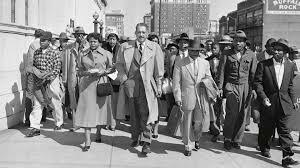 Lawyers have long played an integral part of efforts to bring about social change. With an increasing desire to see change in the world, regardless of one’s political perspective, there is a growing interest in understanding the role that lawyers can play in bringing about such change. This type of lawyering is complex, however, and faces far more challenges than those the traditional lawyer faces in his or her work. While all lawyers solve problems on behalf of their clients, the role of the social change lawyer is more complex because the problems she seeks to address are more complex, mostly because she is not trying to operate within the existing legal system on behalf of her client, but, rather, trying to change it. 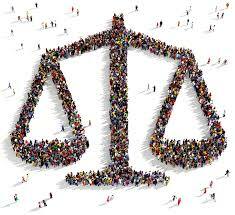 Indeed, the social change lawyer often faces complex problems that require complex and creative solutions. 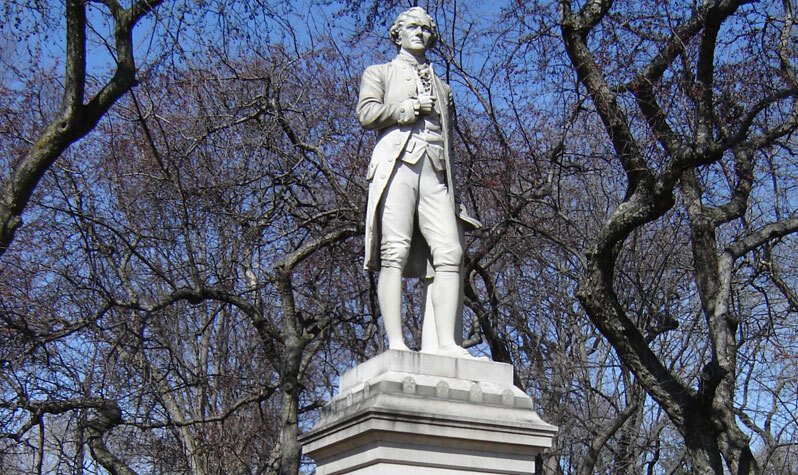 This Article attempts to explore the nature of the creativity required of the social change lawyer by an assessment of three campaigns for social change in which lawyers played prominent roles: the effort to abolish slavery, the campaign to end Jim Crow segregation, and the movement for marriage equality. This review unearths several common components of these campaigns, which include that they typically sought incremental change, they utilized interpretative tools that helped reframe the issues affecting their clients, they brought in interdisciplinary perspectives, they sought to build coalitions based on areas where the interests of different communities might converge, and they were conscious of trends and forces occurring outside the law that were likely to affect the legal campaigns. It is through an assessment of these successful efforts, and an identification of the common characteristics of such creative problem solving for social change, that, I hope, will serve as inspiration for those working for positive social change today and in the future. Technological innovation, climate change, economic inequality, globalization, and the increased migration of individuals and families to urban settings are all changing the way humans work, relate to each other and themselves, engage with the wider world, and form community. These forces are altering the relationship of the individual to the state, and between the individual and civil society: that loose sphere of organizations, associations, and collections of individuals that exist beyond government and the business sector. These groups that make up civil society play a significant role in the lives of individuals and families throughout the world. They mediate religious worship, educate youth and adults alike, heal us when we are sick, channel competition in sports, and help individuals work collectively to topple dictators. Technological innovations are affecting how these organizations function and communicate and often play a role in the social change such organizations and networks pursue. But the organizations themselves must adapt to changing environments, new needs spurred by such change, and the ways in which the legal ecosystem is itself also changing, spurred on by technological innovation as well. This Article explores whether the technological changes afoot in society generally, and the legal services sector in particular, can expand access to justice for non-profit organizations through the delivery of web-based legal guidance. It does so by exploring one effort to help non-profits that wish to form under New York State law obtain information and guidance that helps them generate the critical documents such organizations must prepare to organize themselves under state law. This effort was the product of a class taught at Albany Law School, led by one of the co-authors, and in which the two other co-authors were enrolled as students. In this class, entitled “The Law of Social Entrepreneurship and Exempt Organizations,” the students learned not just the substantive law of non-profit entities, they also learned how to incorporate technology into the provision of legal services to non-profit groups to help address the justice gap such organizations face. This Article explores the work of this class and the ways in which the students were able to incorporate technology to improve access to justice for non-profit entities. It is our hope that this process yielded helpful insights into the ways in which one can use technology to improve access to justice for non-profit groups in particular, but also for individuals and other corporate entities as well. 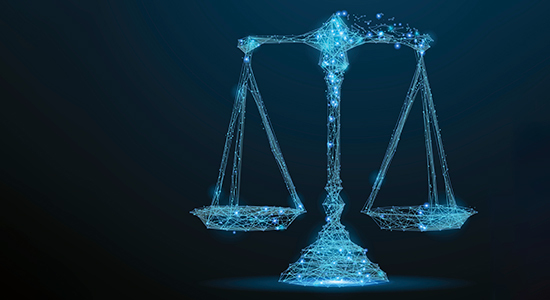 This Article will identify these insights and examine what implications they might have for the use of technology to improve access to justice, for both organizations and individuals. It also shows how law schools can incorporate technology-based projects that help close the justice gap generally. For many New York not-for-profits, the vast and public-spirit-minded legal community in New York State provides countless hours of pro bono service to those organizations in a range of legal matters. In New York City, an array of legal services providers also provide free legal services to not-for-profit groups, including the Urban Justice Center, New York Lawyers for the Public Interest, and Lawyers Alliance for New York, among others. Are you a not-for-profit in New York State and have legal needs, met or unmet? Even if you do get some or even all of your legal needs met by local attorneys, we want to hear from you. Help the New York legal community understand your legal needs better and assist us in documenting the justice gap for New York’s not-for-profits. Please take just a few minutes and complete the anonymous survey here. Whether you pay for an attorney, get all your legal needs met for free, have just some of your legal needs satisfied, or have no idea where to turn for legal assistance, please tell us about your experience accessing legal assistance as a non-profit in New York State. If you do plan to take the survey, please do so by October 27th. Thank You! Forty-one years ago, Congress passed the landmark Community Reinvestment Act (CRA), a law that has spurred billions of dollars in investment in low- and moderate-income neighborhoods throughout the United States, neighborhoods that had long been neglected, and outright discriminated against, for decades, denying their residents the chance to achieve the American Dream. But now that law, and that dream, is under attack, as Congress may be considering measures to “modernize” the CRA, mostly by gutting some its most important protections. The truth is, the CRA needs to be modernized. Created in a time when banks were still brick-and-mortar institutions, the CRA was designed to prevent banks from denying loans to the communities where they had their branches and stop them from taking deposits from those communities and converting them into investment in other communities. When a new breed of banks and lenders came on the scene in the late 1990s that largely operated beyond the CRA’s reach, those risky banks and the products they peddled would usher in the Financial Crisis of 2008. Indeed, constructed to address bank practices from a bygone era in some ways, the CRA was poorly designed to prevent these new entities from wrecking the economy. Truth be told, in many respects, the CRA was a financial Maginot Line; built to fight the last war, it was easily circumvented, lightly defended, and quickly overrun. 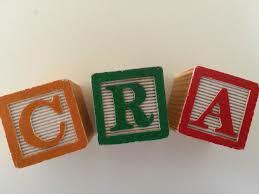 Advocates and opponents of the CRA alike agree that the law needs amending. It was not a cause of the Financial Crisis though: critics charge, wrongly, that it somehow forced banks to make risky loans. It did not. To the contrary, the problem was not that the CRA was too strong, but too weak. For example, at the heart of the Financial Crisis were subprime loans. And at the height of the subprime mortgage frenzy of the last decade, ninety-four percent of such loans were not even covered by the CRA because of its many loopholes. It is hard to argue that 6% of subprime loans—the percentage covered by the CRA—were the cause of the global crisis. As Congress considers amending the law that is in desperate need of modernization, there is no shortage of recommendations on how to strengthen it. Check out the excellent work of the National Community Reinvestment Coalition on this topic here. I’ve written a bit about this topic too. See here, here, and here. You can also check out the New York Bank Ratings Index, which puts the power of bank oversight directly in consumers’ hands here. An explanation of the Index can be found here.